The first season of the Afghanistan Premier League was held in 2018 and Balkh Legends won the title by beating Kabul in the final. The fans will now get to watch some of their best cricketers feature in a home-grown Afghanistan Premier League T20 starting from 5th to 21st October 2018. Get all details around APL 2018 schedule, squads, tickets & live streaming options here. Click here to get Afghanistan Premier League 2018 live scores. Balkh Legends beat Kabul Zwanan in the final to lift the APL trophy in the first season. This was thanks to a fine showing from Qais Ahmed and Chris Gayle, who combined with the ball and bat to help their side overcome Kabul. Qais took five wickets in his four-over spell before Gayle hammered a half-century to ensure a victory by four wickets. Earlier, the Afghanistan Premier League semi-final line-up was decided and Balkh Legends took on Nangarhar Leopards while Paktia Panthers played Kabul Zwanan. This was after the Legends finished at the top of the points table with 12 points, winning six games from eight games. Paktia, Kabul and Nangarhar won five, four and three matches respectively with Kandahar bowing out of the competition with just two wins under their belt. The league will be played in the UAE in the first season all the matches played at Sharjah cricket stadium. 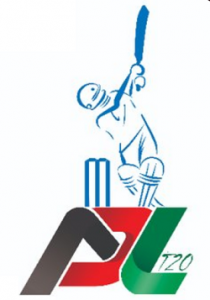 The Afghanistan Premier League tickets for the first season will be available on q-tickets.com. According to sources, all the top T20 cricketers from around the world, including Sunil Narine, Dwayne Bravo, Chris Gayle, Andre Russell, Chris Lynn, Shahid Afridi among others will take part in the competition subject to availability.